Go big or go home! In honour of Canada’s big 150th birthday celebration, we’ve put together a roundup of seven big and beautiful landmarks from coast-to-coast to visit on your next road trip. 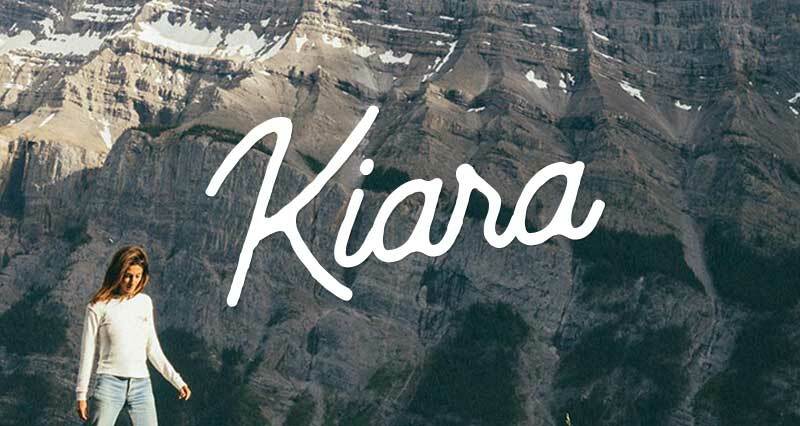 It’s an ode to Canadiana and a tribute to art, culture, sports and nature far and wide! Road trips are all about gazing at the stunning landscapes from your dashboard view. 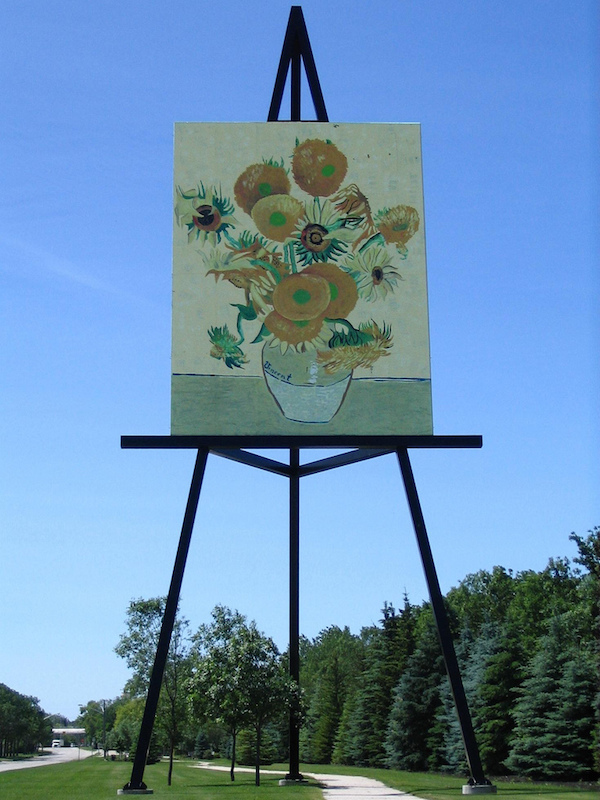 Why not make a quick pit stop in the sunflower capital of Canada to admire the larger-than-life, 76’6′ tall tribute to Van Gogh’s famous Sunflowers painting on an enormous easel’ Check out this giant work of art in Altona, Manitoba. 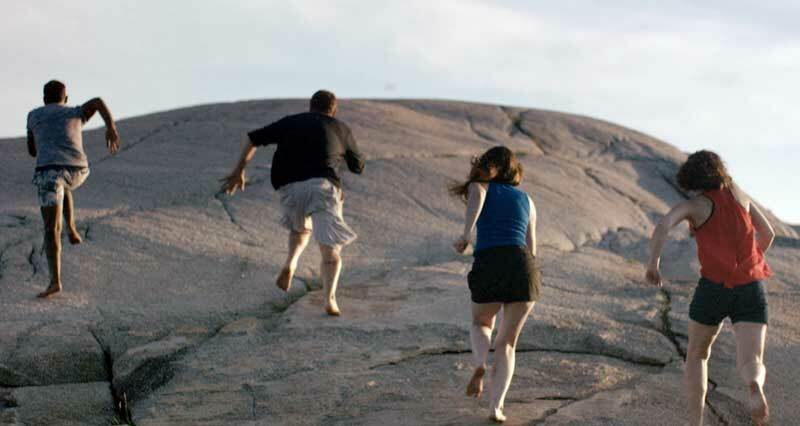 You might happen upon a ceilidh or two on PEI, where Scottish, Irish and Acadian fiddlers play Celtic and traditional music at informal gatherings across the Gentle Island. 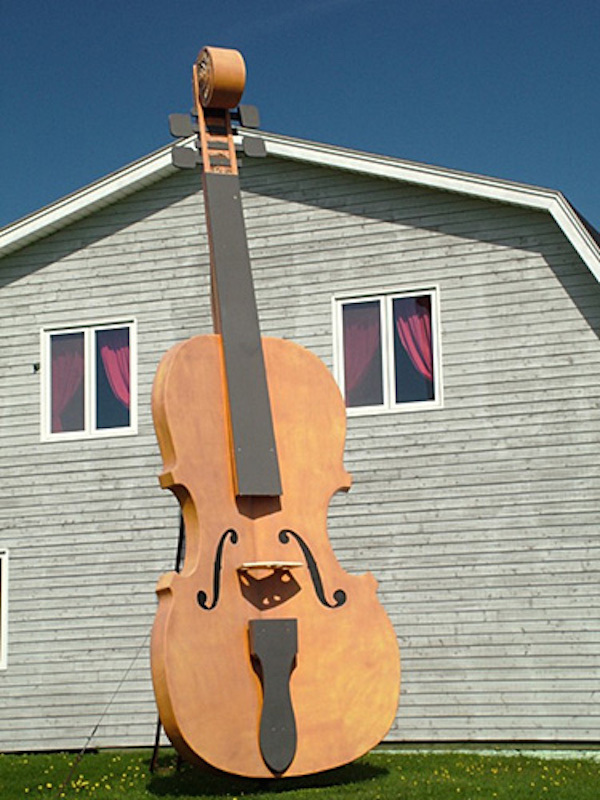 So it comes as no surprise that a 24-feet tall wooden fiddle calls Cavendish home! 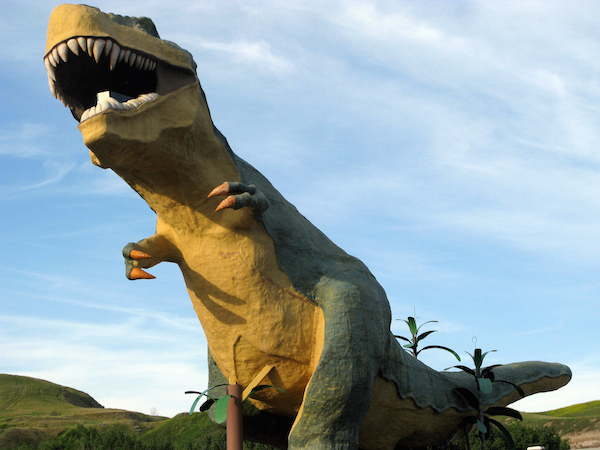 Travel to Drumheller in the Canadian Badlands to climb 106 stairs to the top of the ‘World’s Largest Dinosaur’! It’s a colossal design and engineering marvel in the dinosaur capital of Canada ‘ standing 86-feet tall, approximately 4.5 times larger than a real T-Rex. While you’re at it, take a tour of the world-class Royal Tyrrell Museum (also in Drumheller) which houses dinosaur skeletons, fossil specimens and remarkable paleontology exhibits galore. Your kiddos will be fascinated for hours! 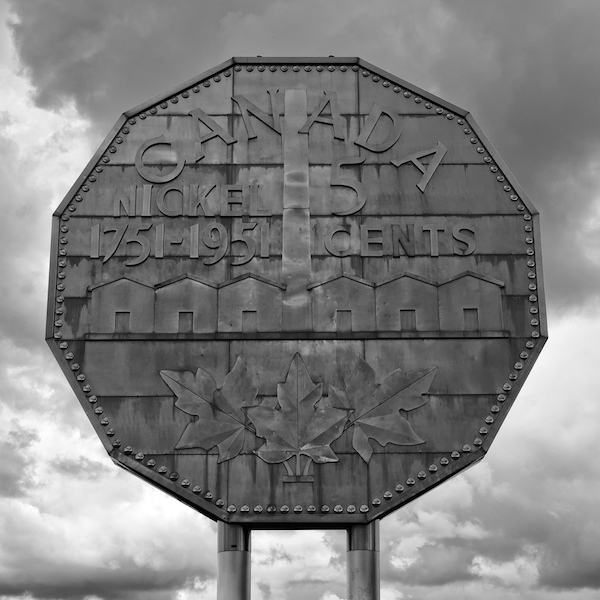 Head on down to Sudbury to get a (giant) glimpse of ‘The Big Nickel’, a bright and shiny 13-tonne beacon that pays tribute to the 1951 Canadian five-cent coin and the city’s elementary role in nickel production in Canada. This world-famous landmark is a perfect backdrop for a snazzy photo with your squad. ps ‘ Don’t forget to bring your selfie stick! 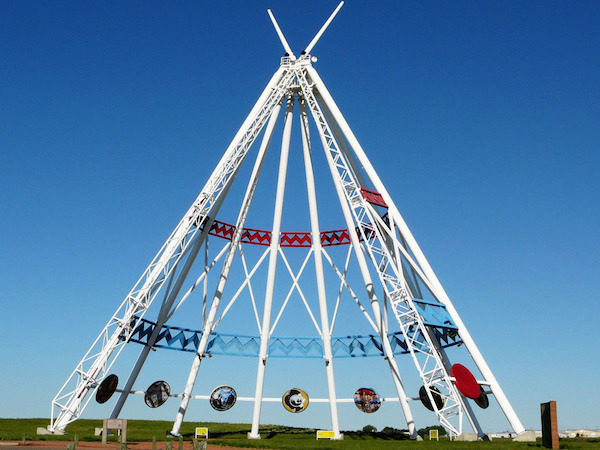 A cultural monument from the 1988 Calgary Winter Olympics, the Saamis Teepee (now in Medicine Hat) proudly stands over 20 stories high in beautiful Alberta prairie land. 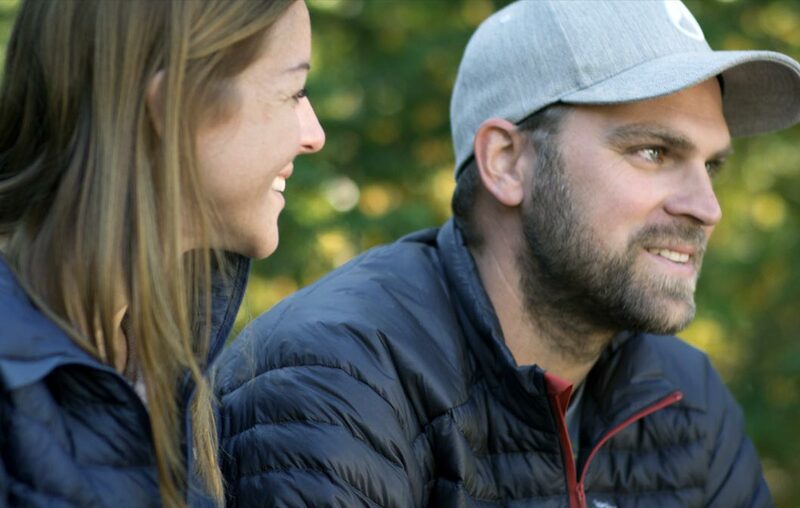 Soak in some storytelling with a self-guided tour of native history around the teepee. 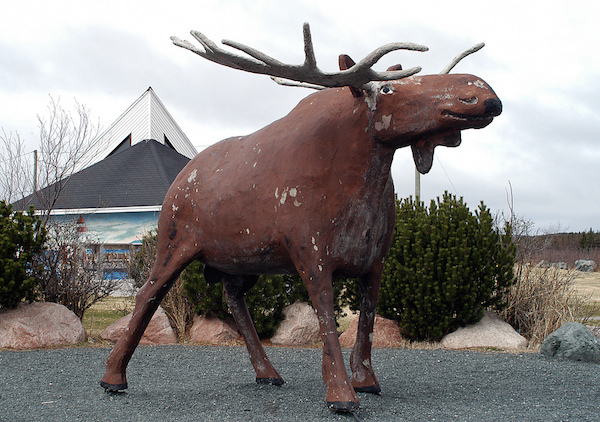 You won’t need your binoculars to spot this massive moose next to the gas station along the Trans-Canada Highway in Deer Lake, Newfoundland. And who knows, it just might be the first of many moose sightings you have in this next of the woods. 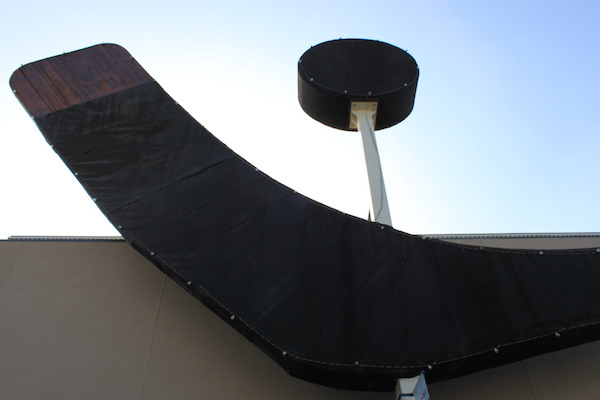 Originally built for Expo ’86 in Vancouver, the world’s largest hockey stick (now residing in the Cowichan Valley) finally won a 20-year battle for top spot in the Guinness Book of World Records in 2008. Hockey fans from coast-to-coast can enjoy a sense of Canadian pride in holding yet another world record in our nation’s favourite sport! 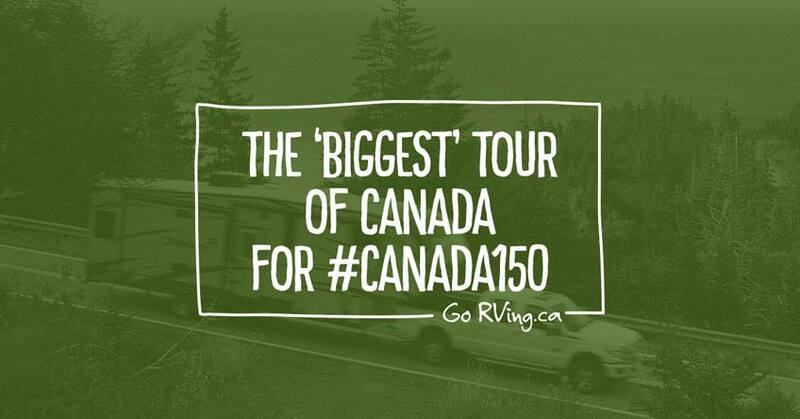 Feel free to share your tips on your favourite larger-than-life Canuck landmarks with our #GoRVingCanada community. 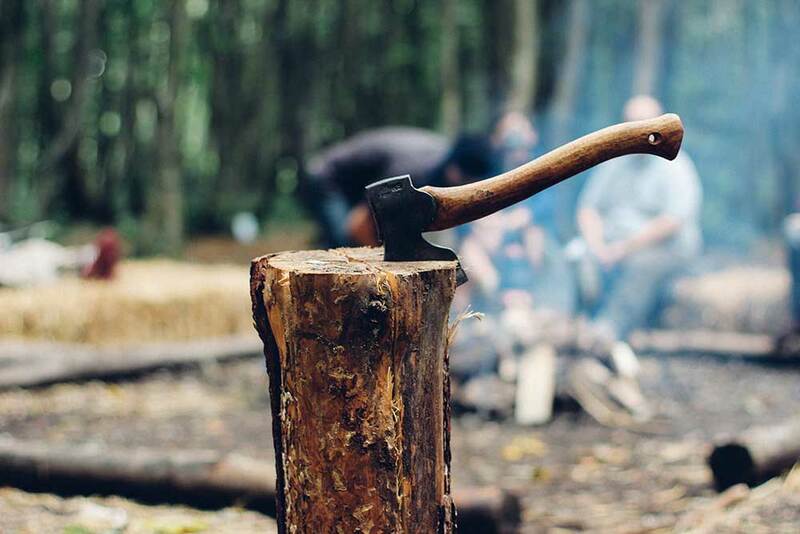 Connect with us on Facebook, Twitter or Instagram. Happy travels!